It is notable that the Govt. 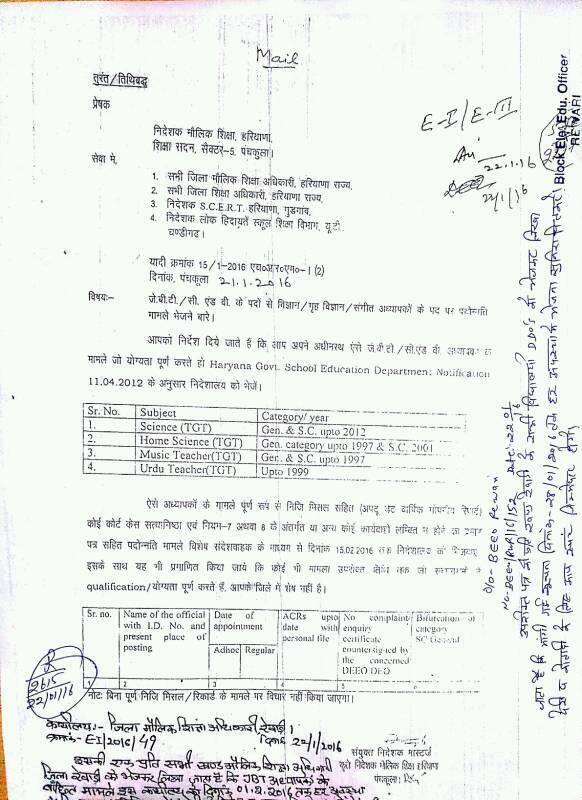 of Haryana is going to make new transfer policy for teacher.In the view of transfer Zone wise list of all schools has been issued on 21.01.2016.All schools are identified in seven zone in Haryana.Schools situated at District Head Quarters are in Zone-1. -New Policy will be prepared in the view of Right of Education Act. -This transfer policy will cover all type of teachers-JBT Teacher,Master,Head Master,Lecturer,Post Graduate Teacher as well as Principals. -Transfer on the base of rotation and rationalization. -Preference will be given to Physically handicapped teachers.